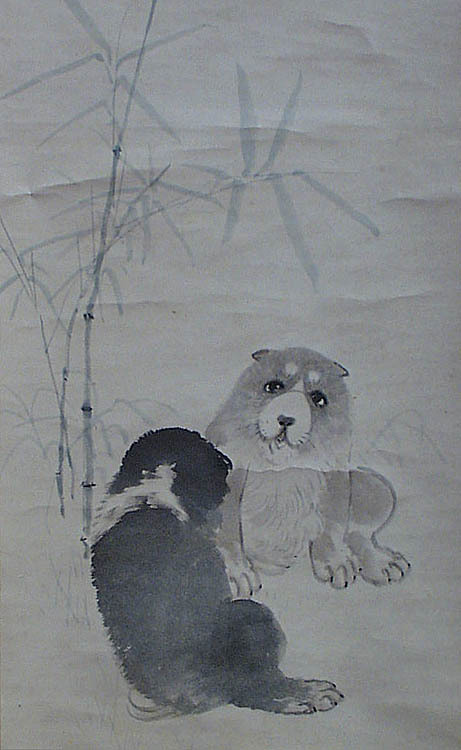 Subject: Two puppies and bamboo. Medium: Painting on paper. Ink and light colour. Conditions: Some creases otherwise good conditions.